Office espresso machines can get a lot of use. That is why it is better to purchase a professional machine rather than one meant for the home. 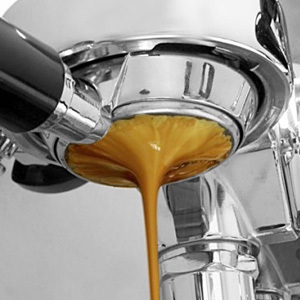 Keep the entire office energized all day long with the perfect sized espresso maker. Professional commercial cappuccino makers in this category vary in type and capacity requirements. Small office is ~1-10 cups per day. Medium office is ~11-60 cups per day. Large office is ~61-100 cups per day. If more than 100 cups need to be made, please look in the cafe / coffeehouse espresso machine section for a more durable espresso machine.